I’ve written before about how I send all of my listening activity to Last.fm. You can see my public profile there and see what music I like. I just got an email from Spotify suggesting that I try out the 2017 Wrapped website which generates some stats based on your Spotify account history. You know how much I love stats so of course I participated. 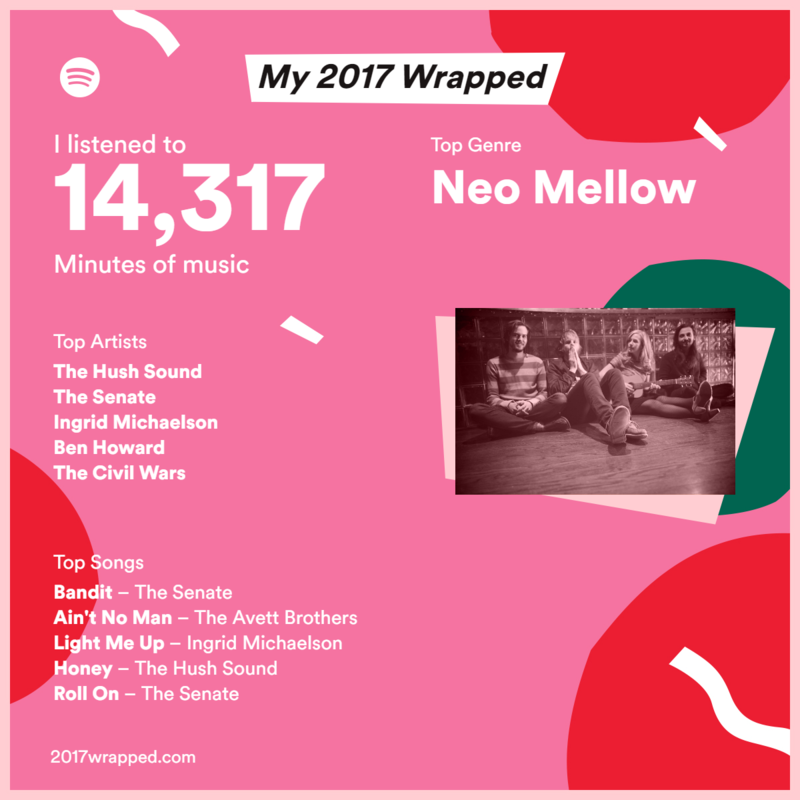 I have multiple Spotify accounts so I ran the stats based on the account that I use at work (so it doesn’t include all of Elijah’s music.) Below is the final summary that was generated from the site. 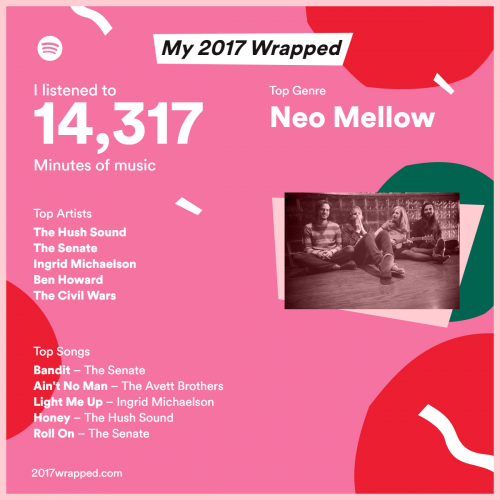 It’s a pretty accurate list of some of my favorite songs and artists.